Iron Maiden have announced a Paris concert date as part of their 2013 European Tour. On June 5, Maiden will bring the Maiden England World tour to Paris Bercy, a venue they have played many times before, including on the original Seventh Son tour back in 1988. Tickets will go on sale on Monday, October 15 at 10.00 am. 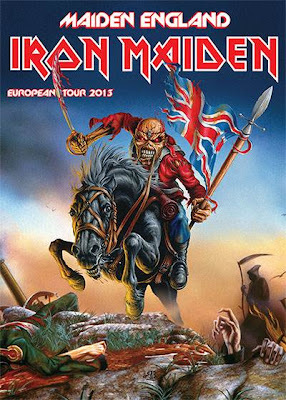 The Paris show is the third date of the 2013 tour revealed so far; Maiden will headline the Download Festival on June 15, and play the new Friends Arena in Stockholm on July 13.